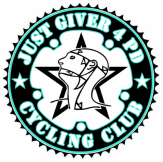 JUST GIVER 4PD is proud to have raised $292,000 to date and will continue to encourage and support fundraising initiatives through our cycling events and by participating in other events. JUST GIVER 4PD will donate the proceeds from any fundraising efforts to Parkinson Society British Columbia. Parkinson's Disease (PD) is a progressive neurodegenerative disease, which involves the loss of cells in a part of the brain called the substantianigra. These cells are responsible for producing a chemical called dopamine, which acts as a messenger between the brain cells that control movement. It is estimated that by the time the diagnosis is made approximately 80% of dopamine producing cells have already stopped functioning. The resulting significant decrease in dopamine leads to the appearance of the symptoms of Parkinson's disease. Parkinson Society British Columbia (PSBC) is a not for profit, charitable organization established in 1969 and entirely supported by donations from corporations, foundations, individuals and the dedicated efforts of volunteers. PSBC offers a variety of services to ease the burden for those living with this chronic, degenerative neurological disorder and extends support to all British Columbians that are affected by PD. There are approximately 12,500 individuals in B.C. with Parkinson's. However, the Parkinson's community includes many more: care partners, concerned family members and friends, as well as health care providers. PSBC strives to create outreach programs to support this community. Parkinson Society British Columbia exists to address the personal and social consequences of Parkinson's disease through education, outreach, scientific research and public awareness. Parkinson’s is a devastating disease for which there is currently no cure. It affects 12,500 British Columbians and more than 100,000 in Canada. The symptoms include tremor, rigidity, slowness of movement, impaired balance and depression. The latest statistics indicate that in Canada and the United States one person dies every hour from complications of Parkinson's, and one person is diagnosed with Parkinson's every nine minutes. Even though Parkinson’s is the second most common neurological disorder next to Alzheimer’s, it does not receive the necessary funding for treatment, education or research from governments. Parkinson Society British Columbia's (PSBC) mission is to address the personal and social consequences of Parkinson’s disease through education, community outreach, scientific research, advocacy and public awareness. It is important to note that the Society receives no government funding. 100% of its support comes from the generosity of individual donors and members, corporations, foundations and the dedicated efforts of volunteers. PSBC works closely with 50 support groups throughout British Columbia. Its services are delivered in the Parkinson’s community through educational conferences and seminars, information packages and advocacy for improved health care and access to medications. The health care community benefits from PSBC through workshops and training seminars. PSBC’s message “You are not alone. We are here to help” is part of an awareness campaign running in April, to help raise the profile of the Society and educate the public on the impacts of the disease. PSBC contributes to local research conducted at the Pacific Parkinson’s Research Centre, UBC in addition to Parkinson Canada’s National Research Program. While there is currently no cure, scientists are making great strides in discovering genetic causes and improved drug therapy.